Prince George, B.C. – The 2017 Rob Charney Cup is on the line tonight at the CN Centre as the Prince George Cougars hold their annual Black and White game. The Rob Charney Cup is named after the late Rob Charney, a long-time Cougar scout who lost his battle with cancer back in 2013. Tonight’s game also signals the official end to the Cougars training camp which started Friday. 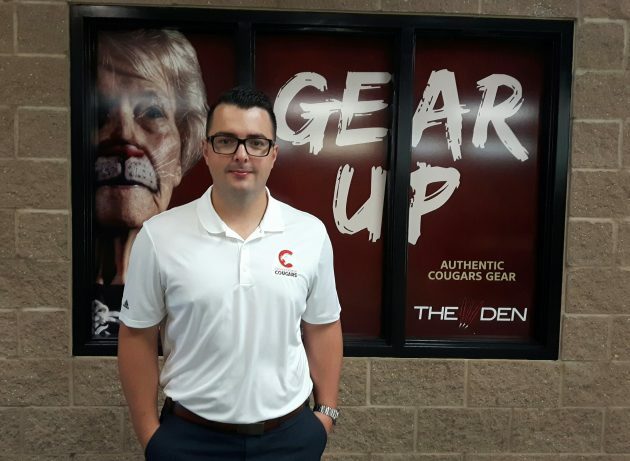 Fraser Rodgers – the Cougars new play-by-play man and broadcasting manager – says camp went well and encourages the fans to come out tonight (7 p.m.) to see what the new squad has to offer. “Not only is it free admission, but it’s a good chance to see a lot of the returning players and what could be the team this year,” he says. Despite the fact the Cougars have lost some top players from last year’s squad – including Jansen Harkins, Ty Edmonds, Jesse Gabrielle and Brendan Guhle – he says there’s still plenty of room for optimism this year. “People want to know: is it a rebuilding year? It’s actually an exciting year potentially on paper. A lot of young guys that could be guys that replace the Gabrielle’s, the Guhle’s, McCauley’s – the guys that are graduating and moving on,” says Rodgers. He says there’s also a talented trio of European imports battling for roster spots. “You’ve got Nikita Popugaev coming back. He was just drafted by New Jersey and looked terrific over the weekend. You’ve got Radovan Bondra as well. He’s a 20-year-old point producer. As for Rodgers – who arrived in Prince George six days ago and who was named BCHL Broadcaster of the Year last year with the Penticton Vees – it’s been a whirlwind start to his job but one he’s enjoyed. And as a former BCHL broadcaster he’s no stranger to Prince George and notes he looks forward to enjoying all the region has to offer. “You know Prince George, I’m very familiar with it. I’m a guy that kind of likes the outdoors. I’m from Vancouver Island (Nanaimo) where it’s green and outdoorsy. So, it reminds me a lot of home. Thanks for this story, would be great to hear more about the Cougars as I didn’t realize training camp had even started. Will try to attend tonight to have a look at this years team. Looking forward to another fun season. GO CATS GO!!!! !